For large evidence storage warehouses, we recommend a mobile storage system. 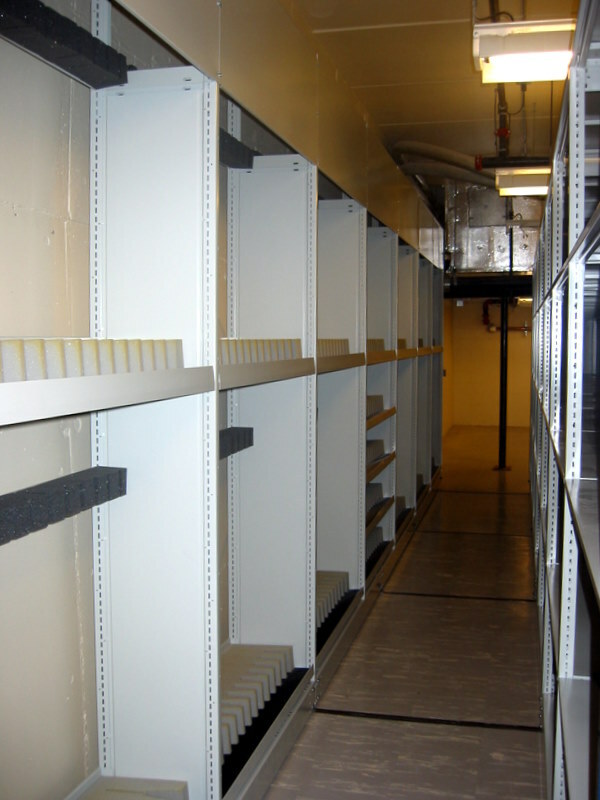 Shelves are arranged on a track so that they may be moved and accessed as needed. By eliminating the need for walkways between shelves, the minimum storage footprint is effectively halved, providing maximum utilization of your space! This storage method also enables easy sorting and retrieval of items. We also have stationary storage racks available. 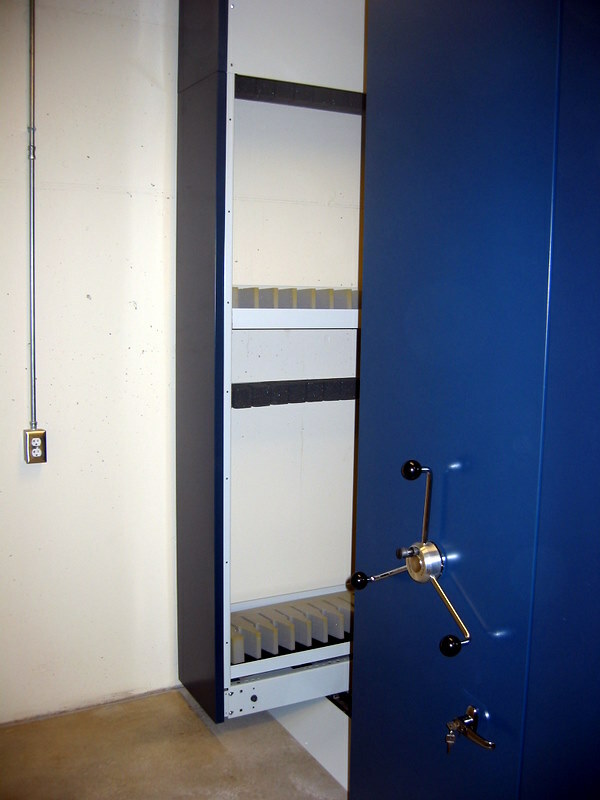 The images on this page show an evidence storage installation in which both mobile storage and stationary storage was utilized. 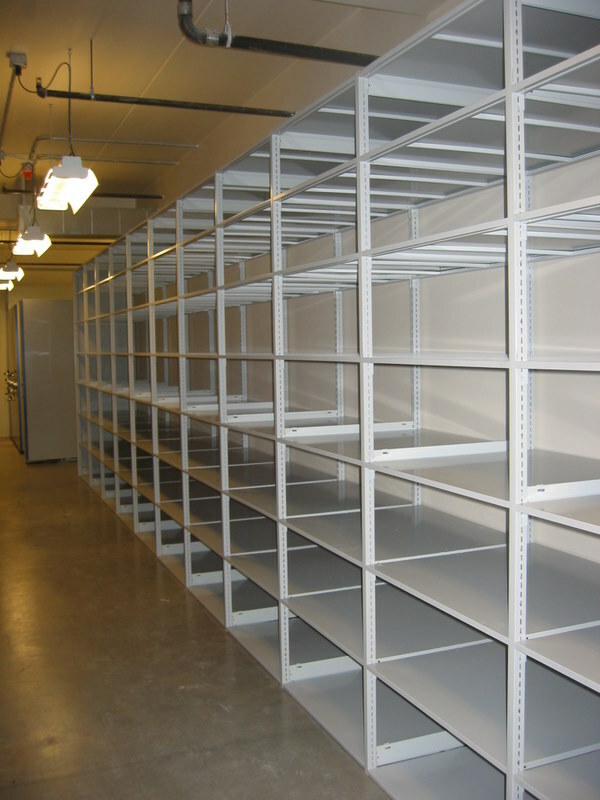 Your department may find it useful to use mobile shelving for small to medium-size objects, and stationary shelving with wide, open shelves for bulky or unwieldy evidence. We know that evidence can come in all shapes and sizes, and so we will work with you to design a system that can accommodate all types of evidence that you process, keeping it easily categorizable and safely preserved.